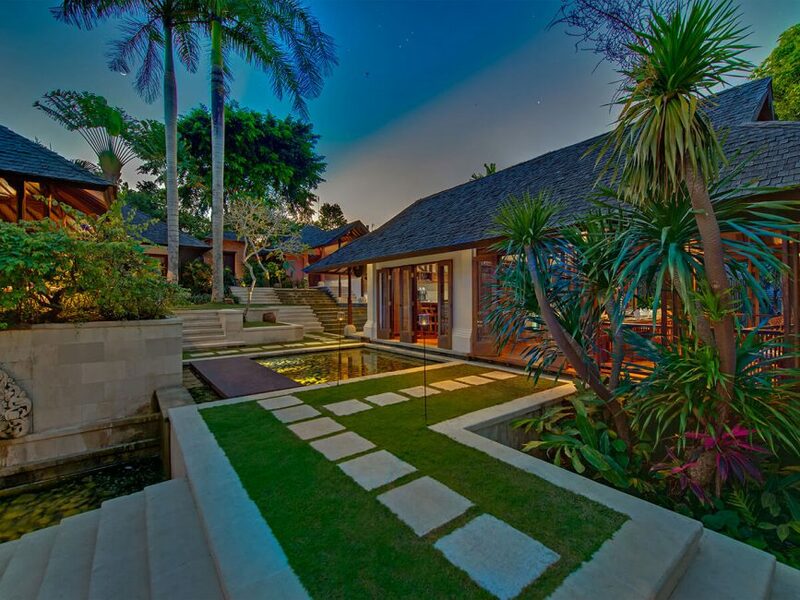 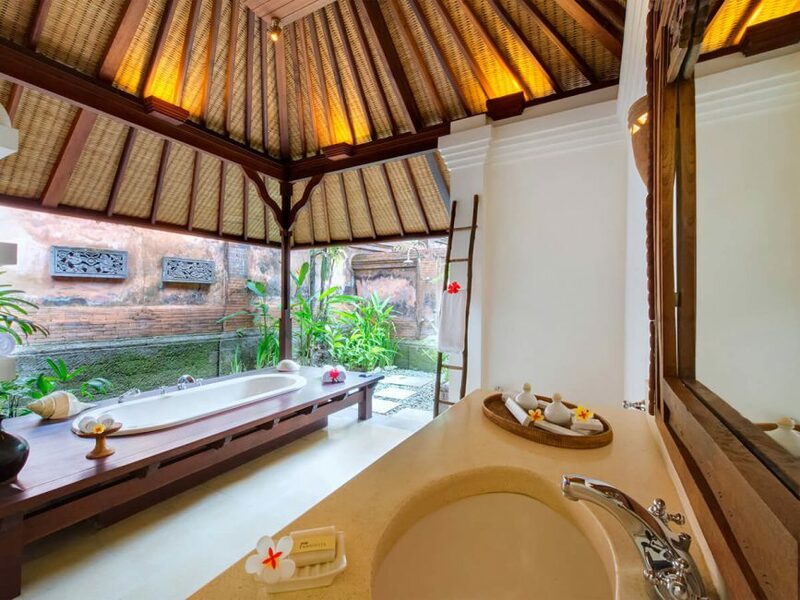 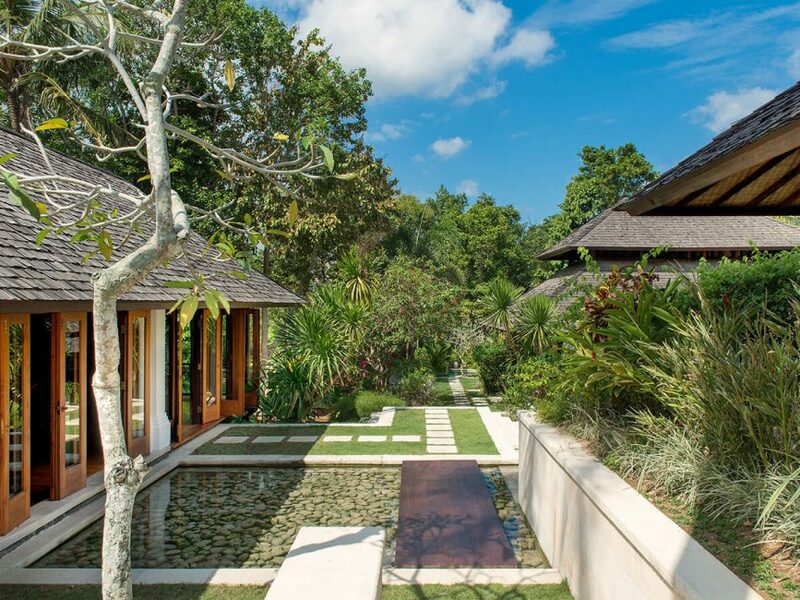 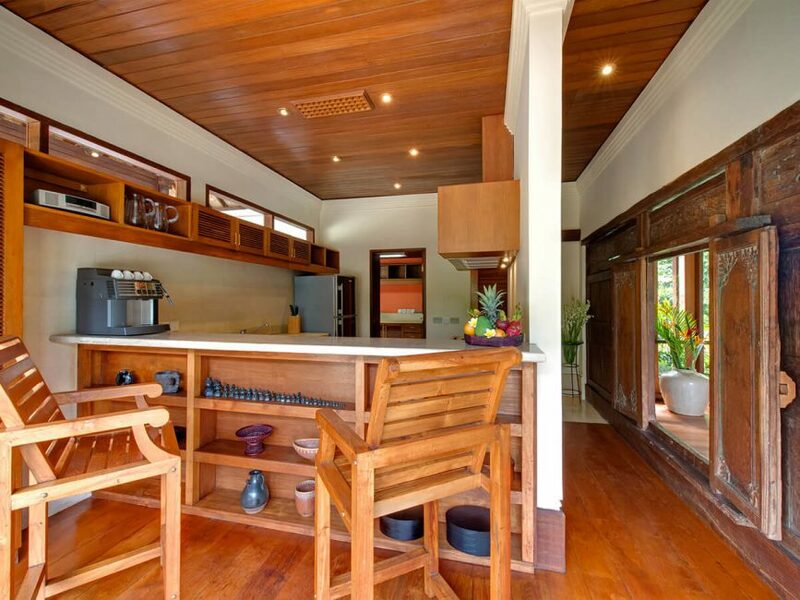 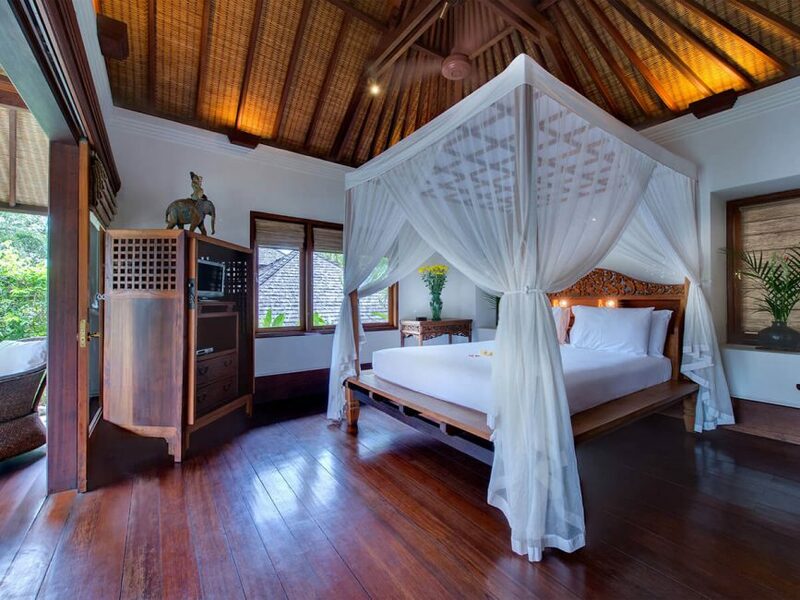 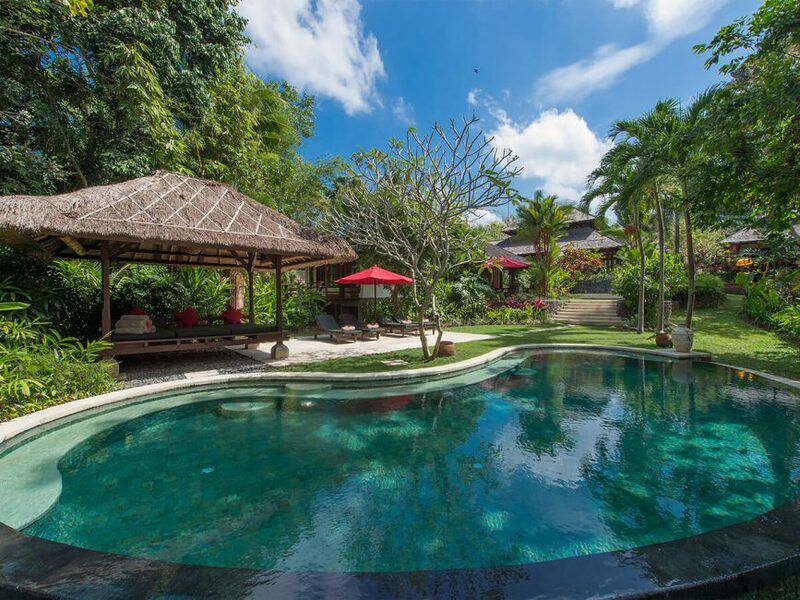 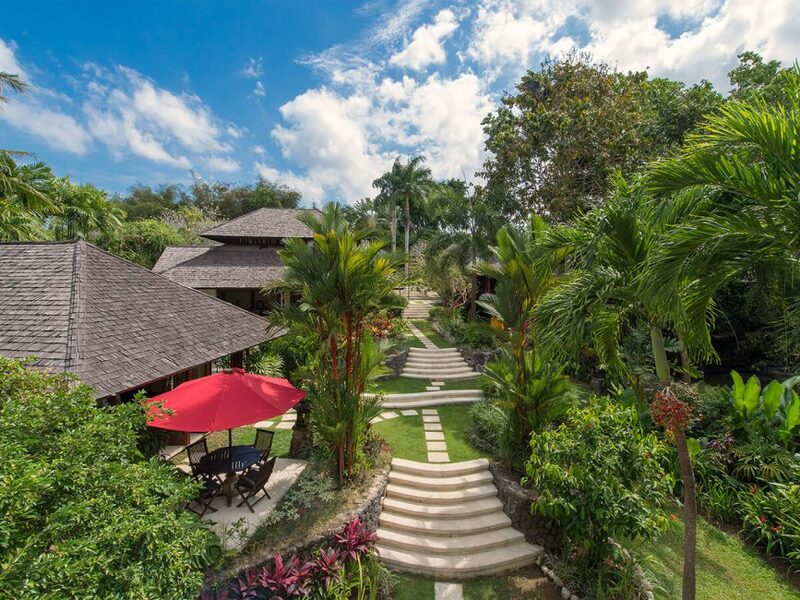 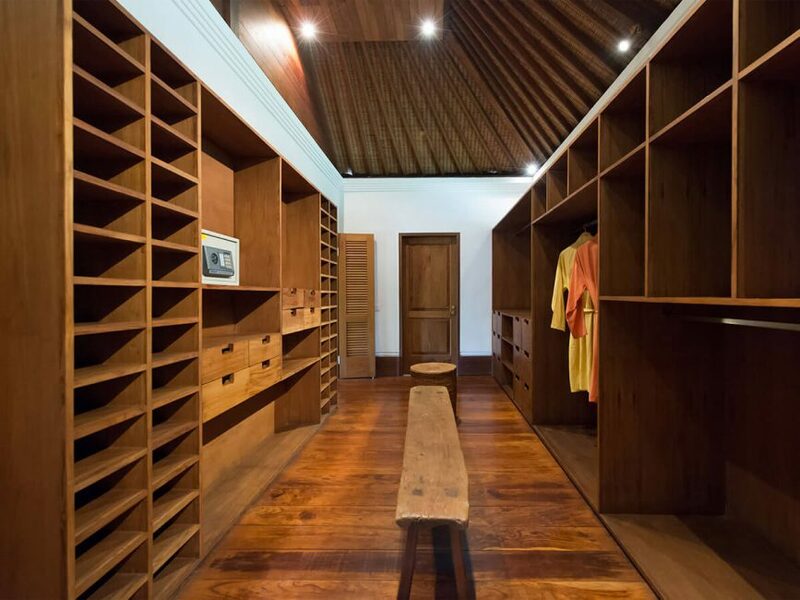 Villa Pangi Gita is truly luxurious retreat, with its Garden-of-Eden setting, pays homage to its Balinese heritage while providing guests with every modern comfort. 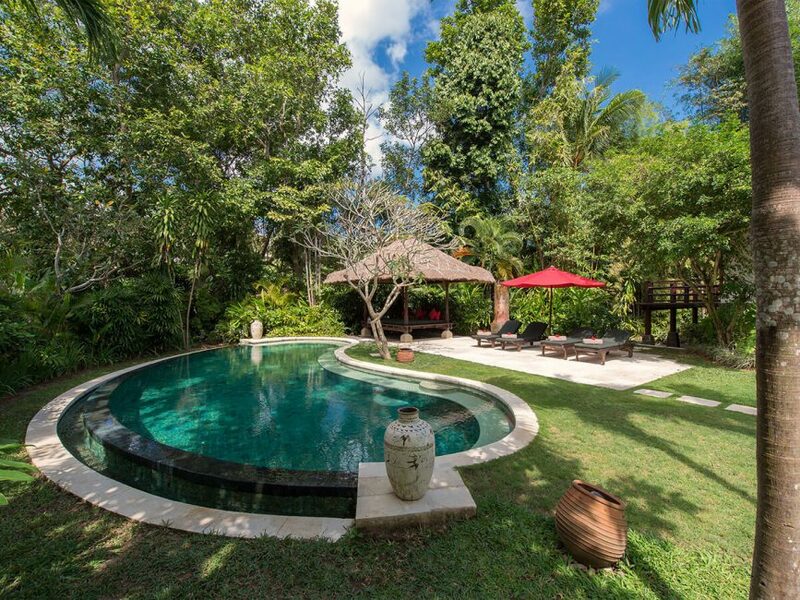 Echoing the lush green rice terraces that surround it, the enchanting three-bedroom Villa Pangi Gita gently slopes down to the banks of the ‘singing’ Pangi River in the sleepy rural village of Pererenan, south-west Bali. 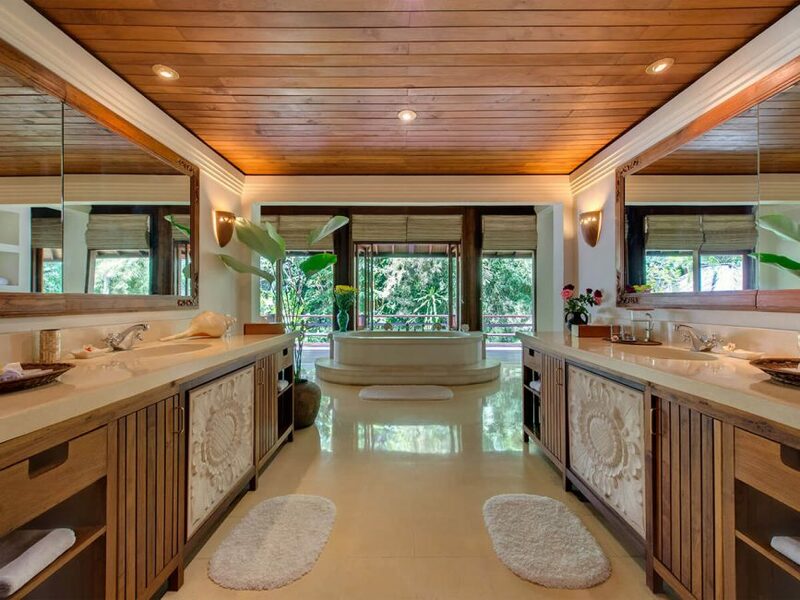 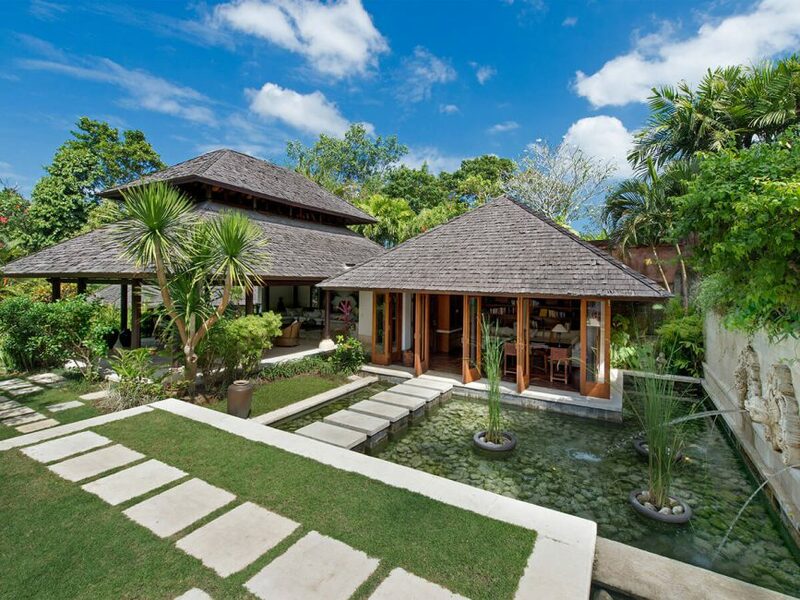 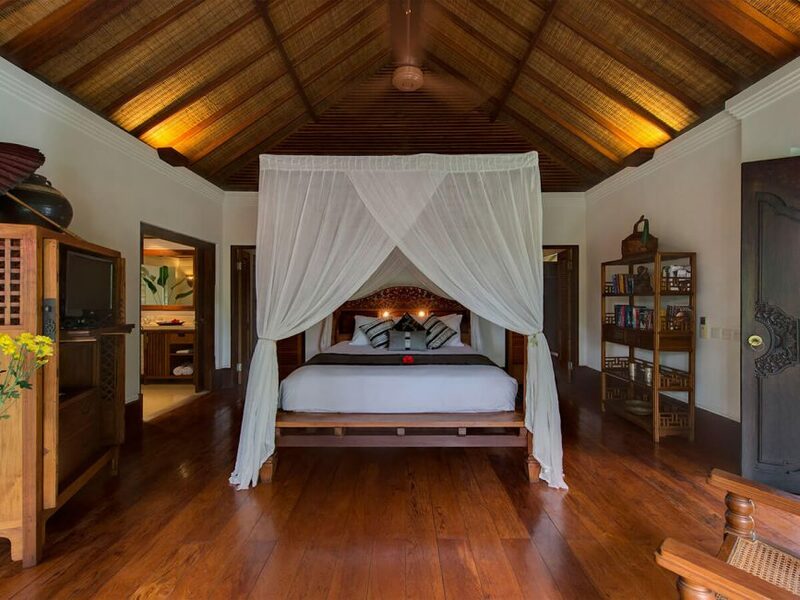 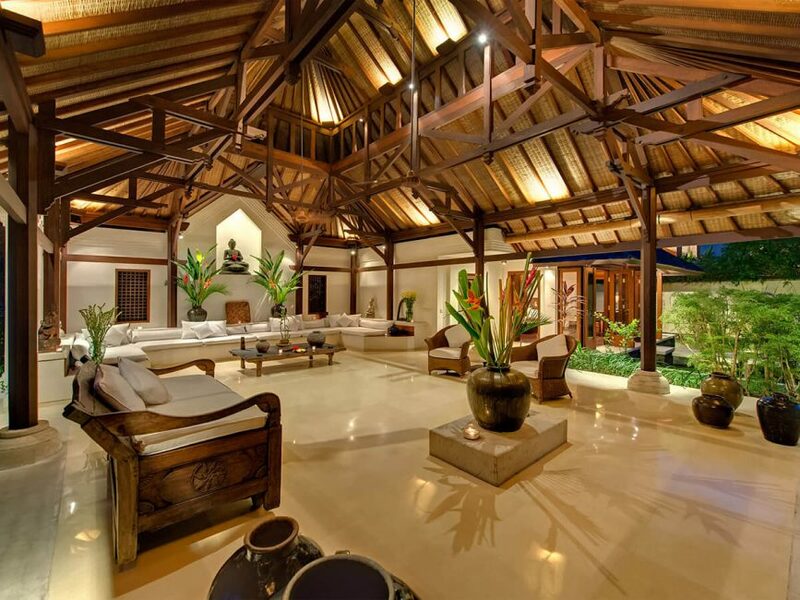 Designed for relaxation, peace and privacy, Villa Pangi Gita presents traditional-style living and sleeping pavilions featuring polished teak and terrazzo floors, vaulted ceilings, iron-wood shingle roofs, and floor-to-ceiling windows that open out to the emerald green surrounds. 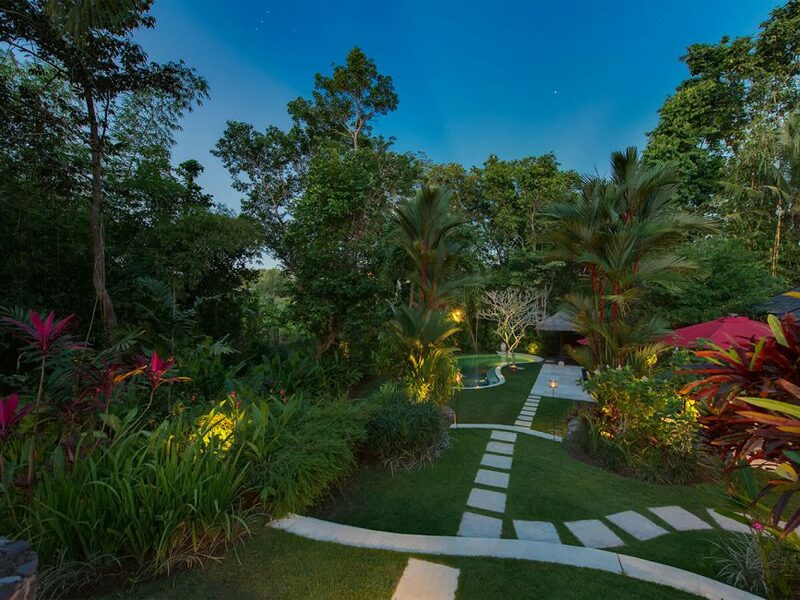 Luxuriant terraced gardens, brimming with exotic blooms, flow down to the river, and tranquil water features complement the serenity of the setting. 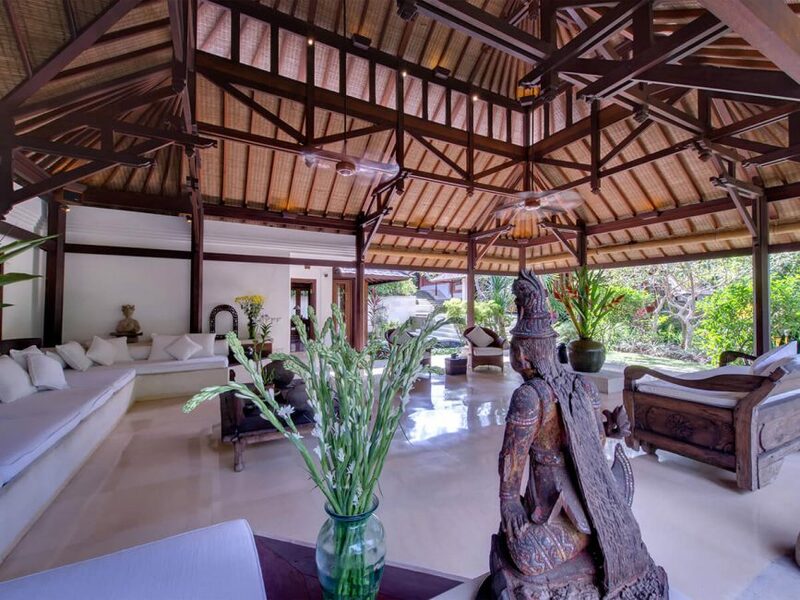 The owner’s impressive collection of Asian antiques and superior furnishings presents a unique sense of style and demonstrates the love and commitment that has gone into the creation of this luxury villa. 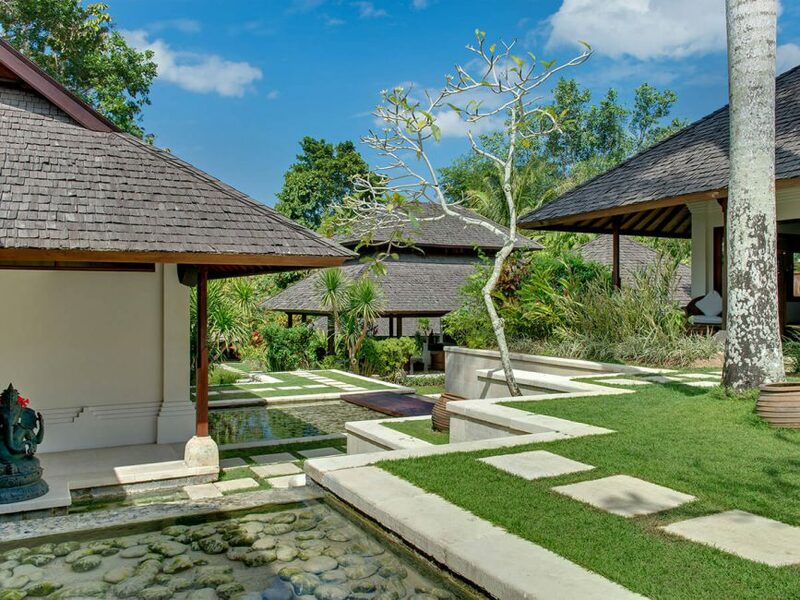 There’s plenty of space to unwind and relax at Villa Pangi Gita, and guests will no doubt be reluctant to stray far from the elegant open-sided living pavilion, the cosy media room or the blissful balé (relaxation pavilion) that overlooks the inviting free-form swimming pool at the river’s edge. 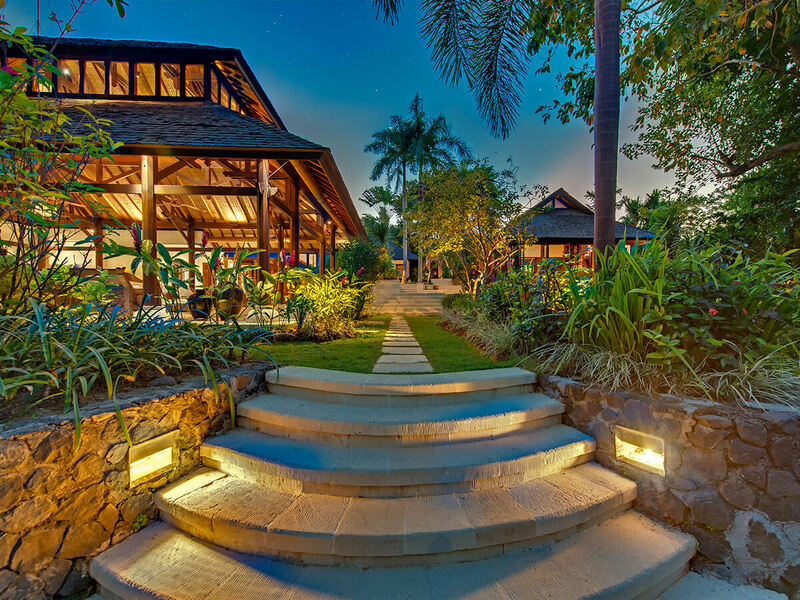 However, a stroll through the charming village and captivating rice terraces, along with a sunset drink at nearby surfer’s haunt Echo Beach, should not be missed. 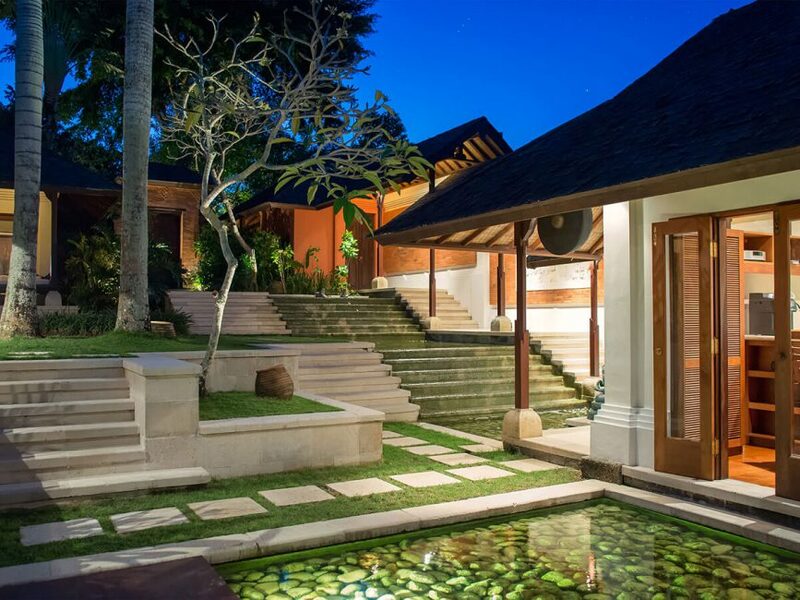 “Welcome to Paradise” is Villa Pangi Gita’s official greeting, and the warm smiles of the staff, the hypnotic sounds of flowing water and the sheer beauty of this little piece of paradise are bound to delight families, attract couples and seduce even the most hardened workaholic into restful submission. 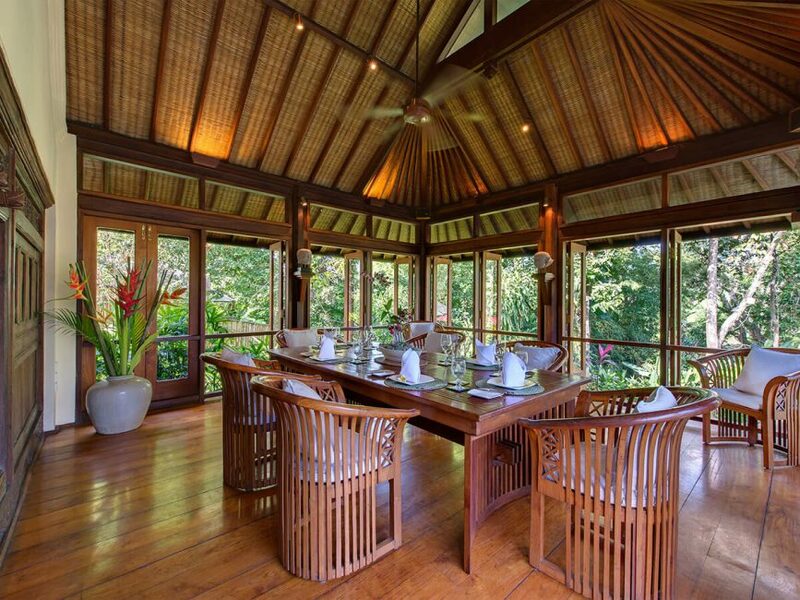 Open-sided living pavilion; dining pavilion; air-conditioned study; poolside balé. 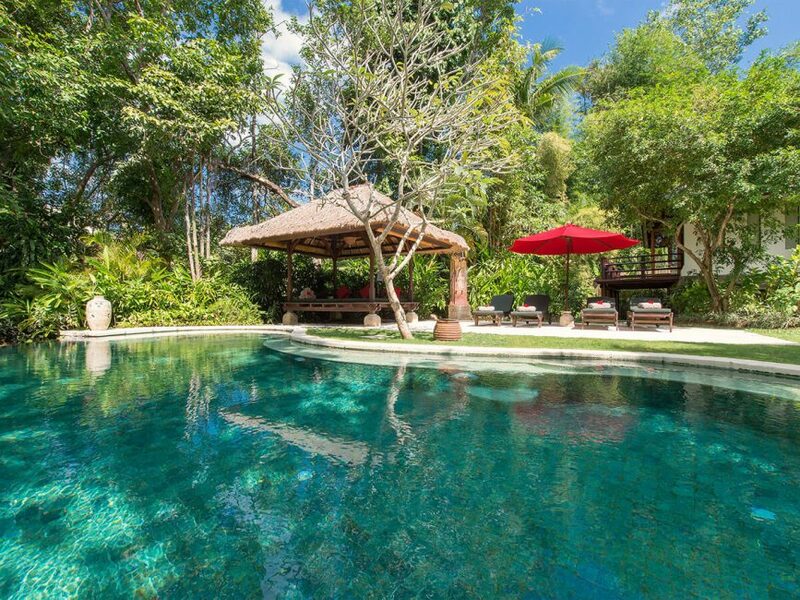 Private swimming pool 15m, free-form. 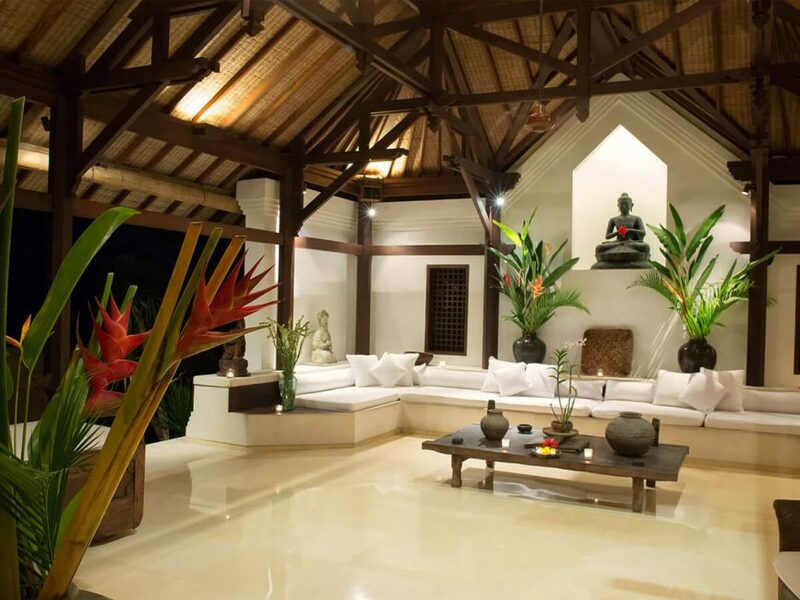 WiFi internet access; landline for local calls; mobile phone coverage; computer; printer. 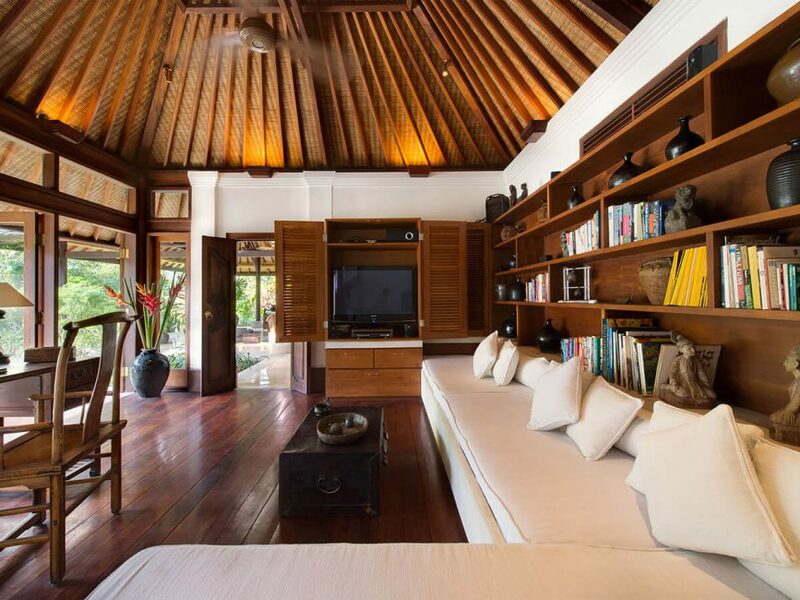 Satellite TV and DVD player in study; TV screen and DVD/CD players in all bedrooms. 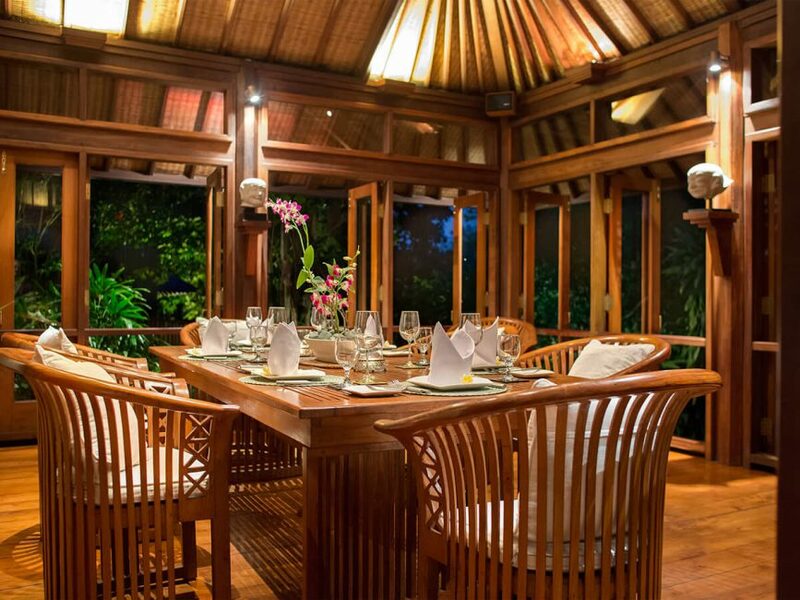 In-house facilities include a baby cot; high chair; table tennis and kids DVDs.